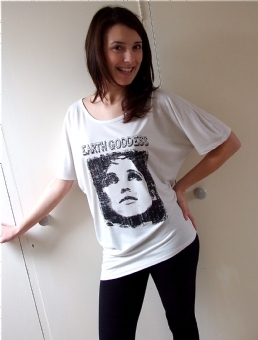 I quite freely admit that I’m a big fan of the humble t-shirt! 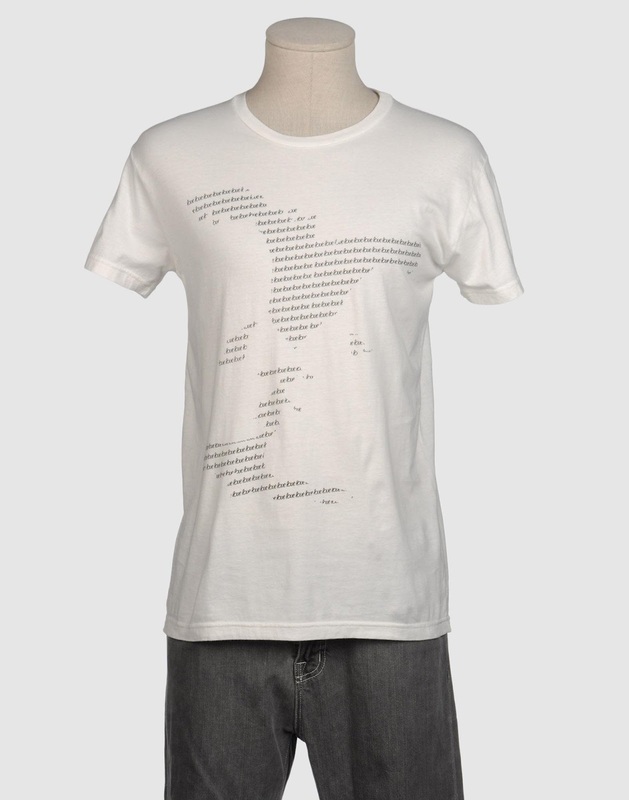 There’s just something I find so appealing about their ability to display various facets of your personality in thought-provoking and eye-catching ways. 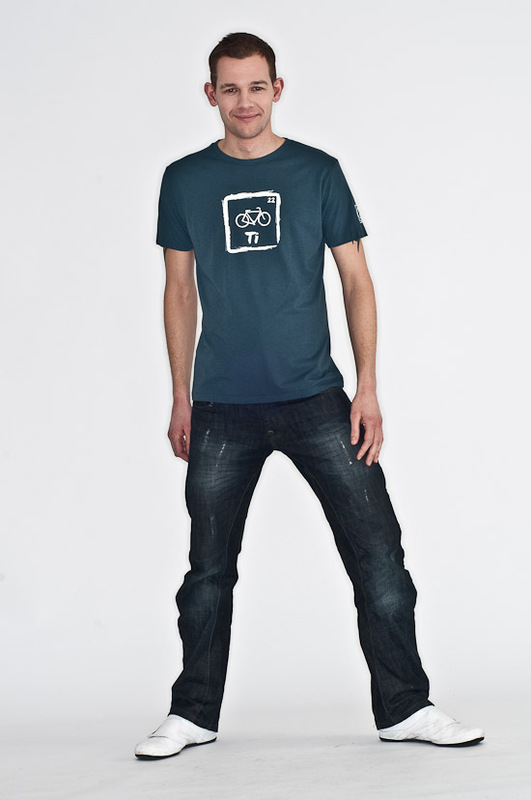 With a simple change of shirt you can go from silly to serious and back again. 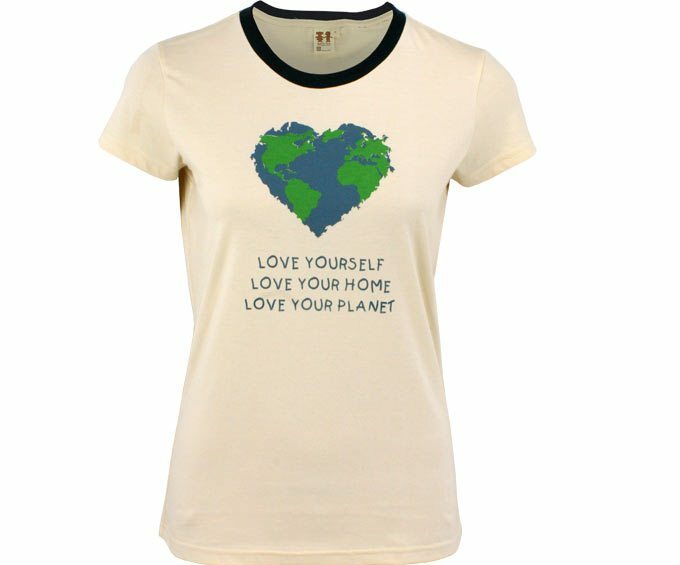 I hope you enjoy this round-up of unique and ecochic t-shirts! 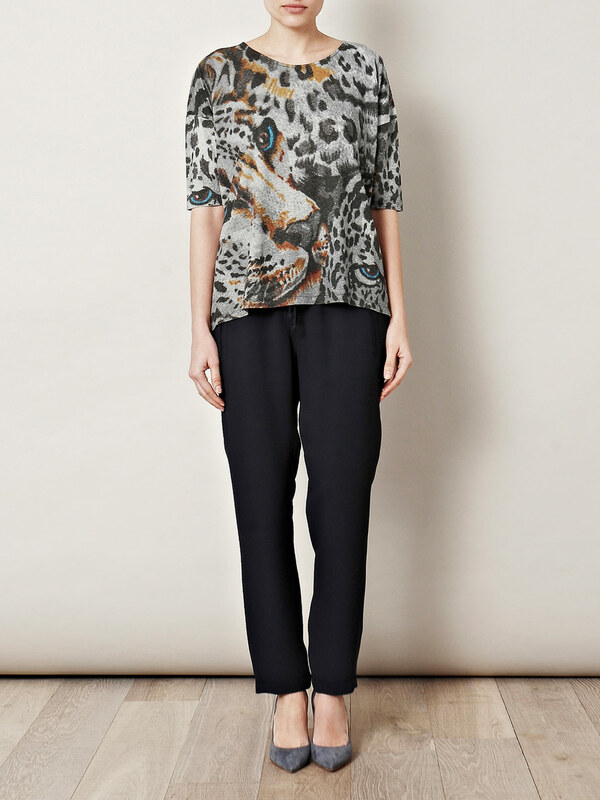 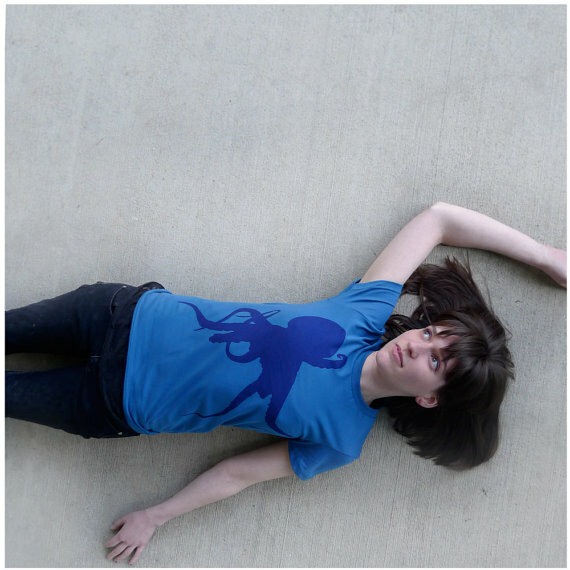 Blue Rinse Weasel Scoop Neck Tee by Look For Fiddleheads – The designer was inspired by the weasel’s fabled ability to “see all things in the dark and hear all things with their little pointed ears. 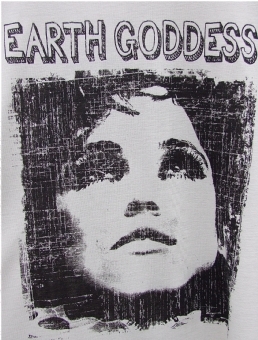 They know so much in their silence”. 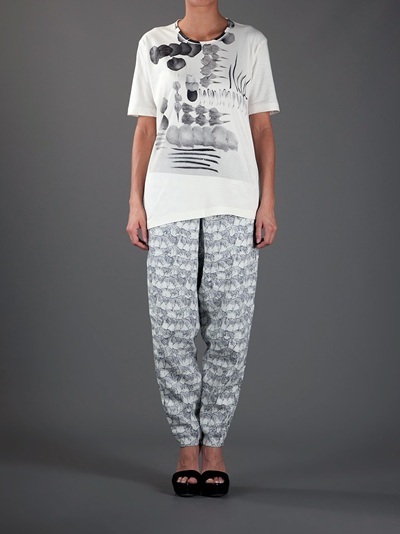 The original print is from a rare early 19th century newspaper belonging to the designer’s grandmother. 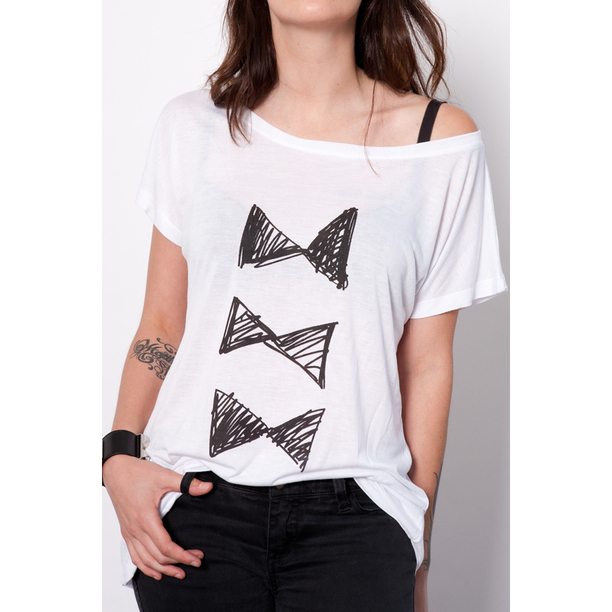 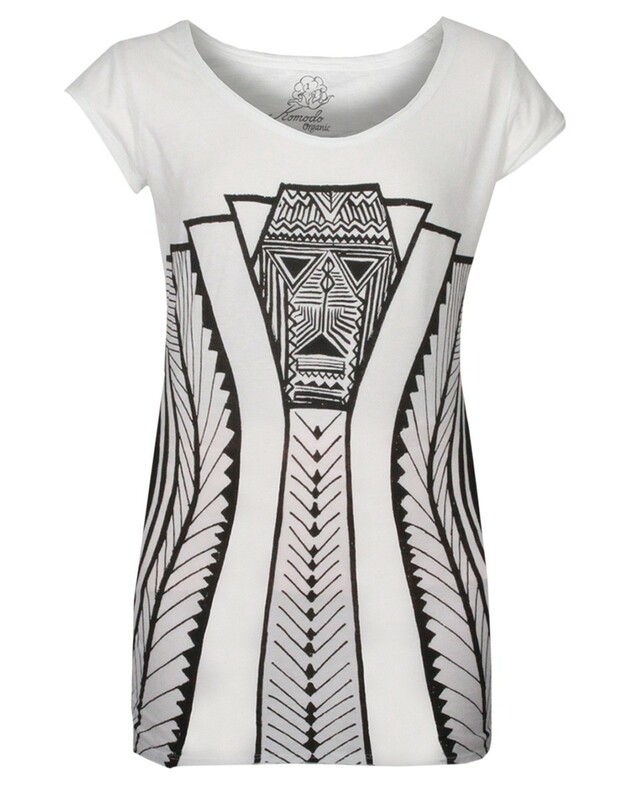 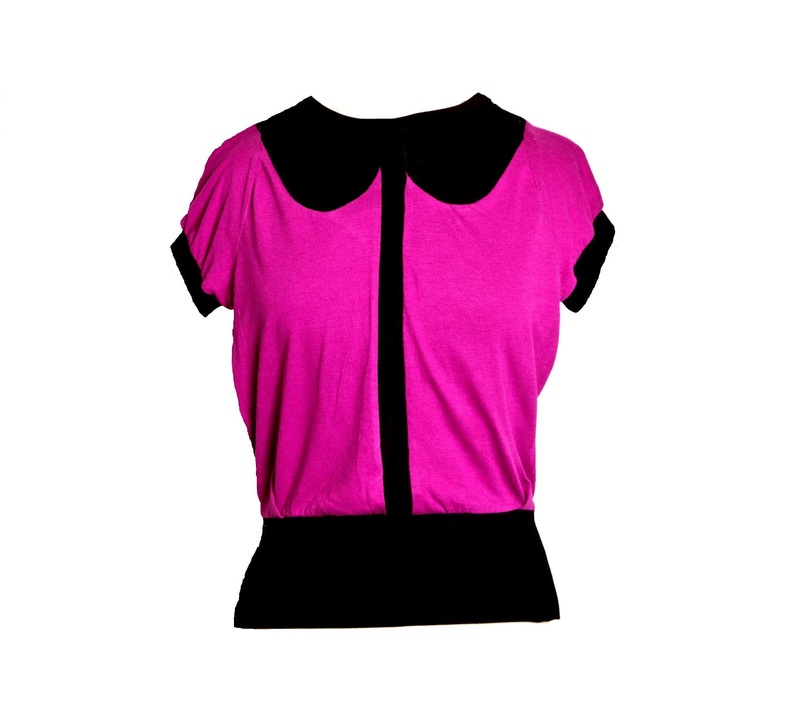 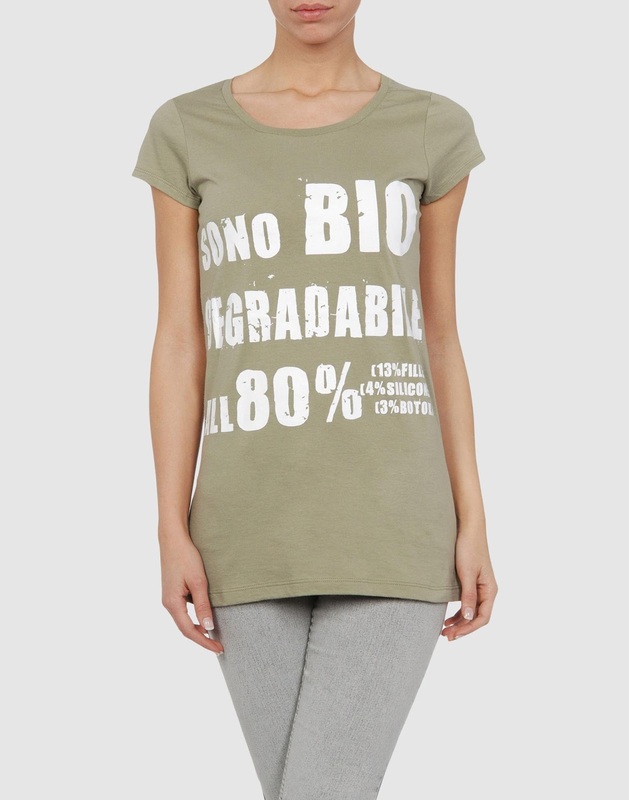 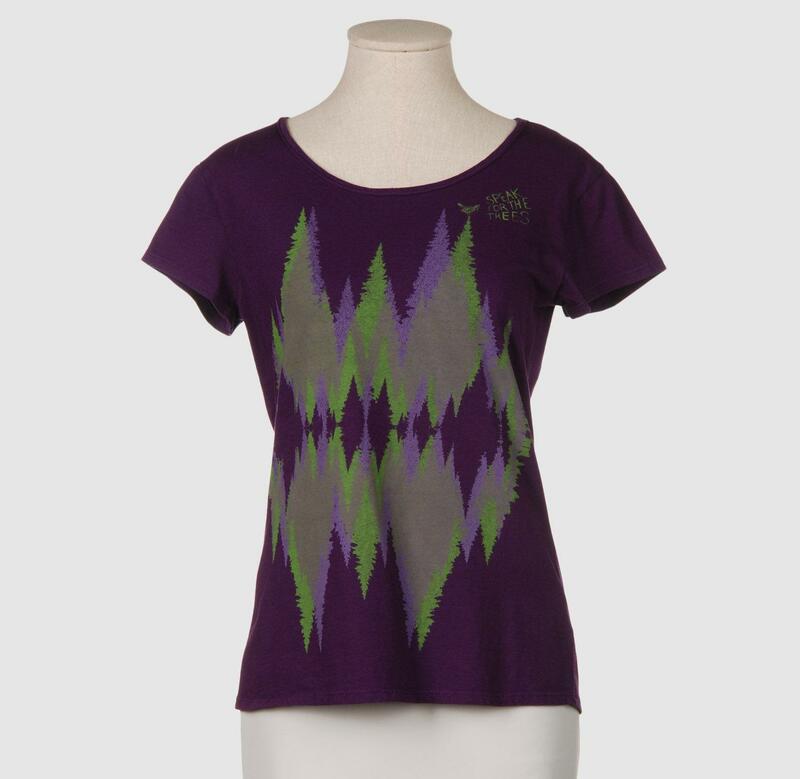 This 100% organic cotton tee is also 100% quirky-chic! 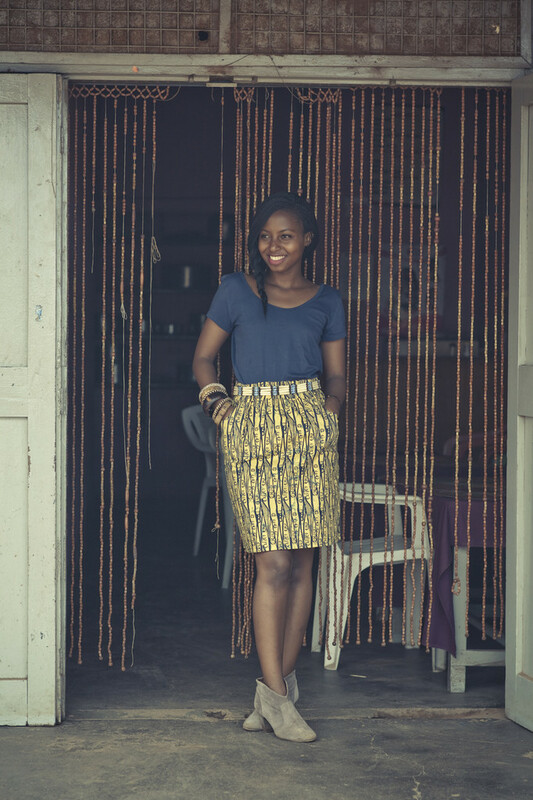 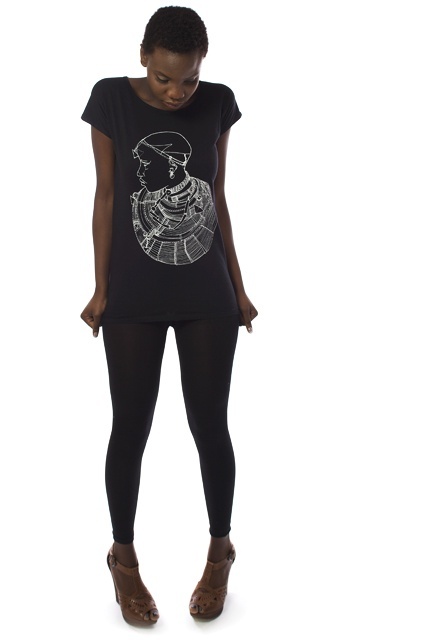 Made in Africa Tee from A Question Of – Well I think this shirt speaks for itself! 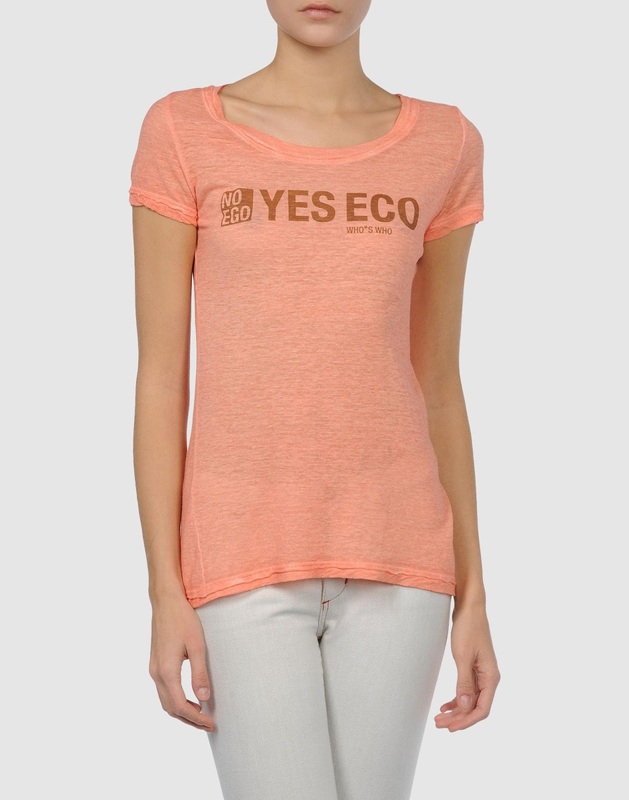 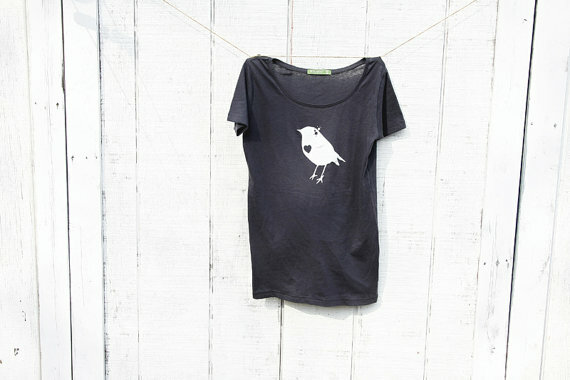 Love to Recycle Tee by RC Tees – Wear your love for living green proudly with these cute organic tee! 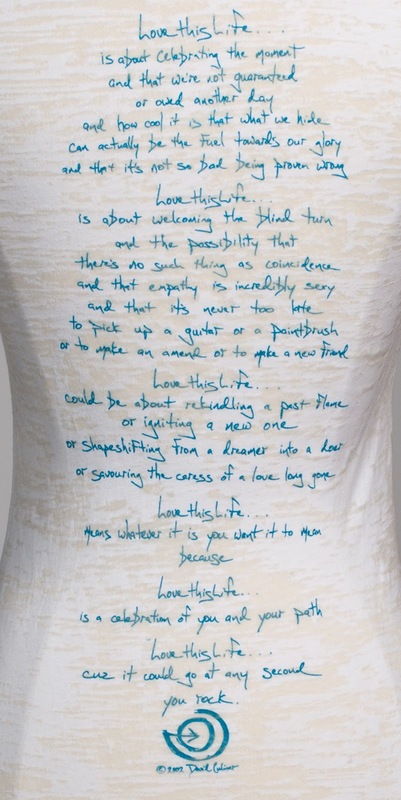 Peter Pan T-Shirt by Love Me Again – This sugary sweet flight of fancy tee is crafted entirely from recycled discarded shirts destined for landfill. 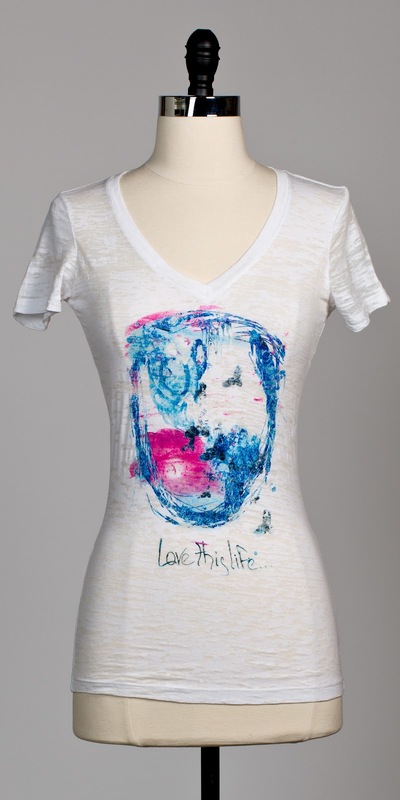 What a beautiful 2nd life! 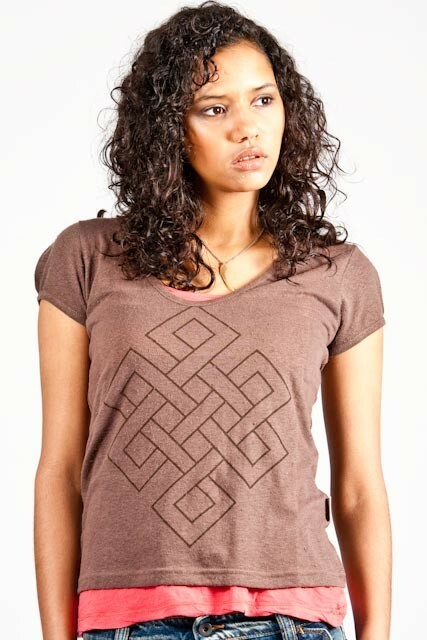 Upcycled Paneled T-Shirt by Goodone – Made entirely from upcycled end-of-line fabrics, I am loving this modern take on a patchwork tee! 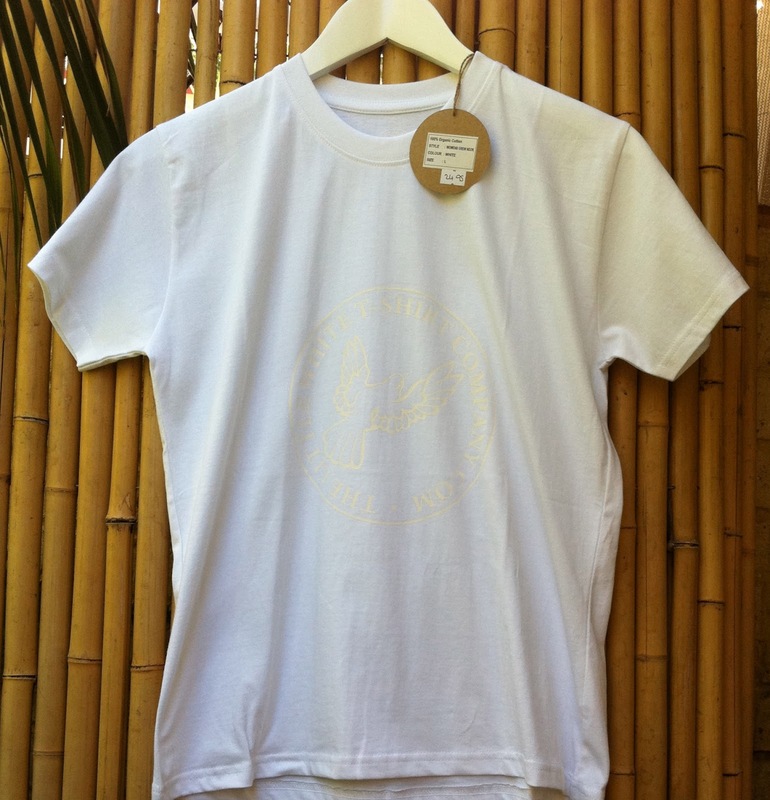 Logo Tee by RainTees – Beth Doane founded sustainable fashion label RainTees in 2008 and with every purchase a tree is planted in a critically endangered area of the world through charity partner, Trees for the Future. 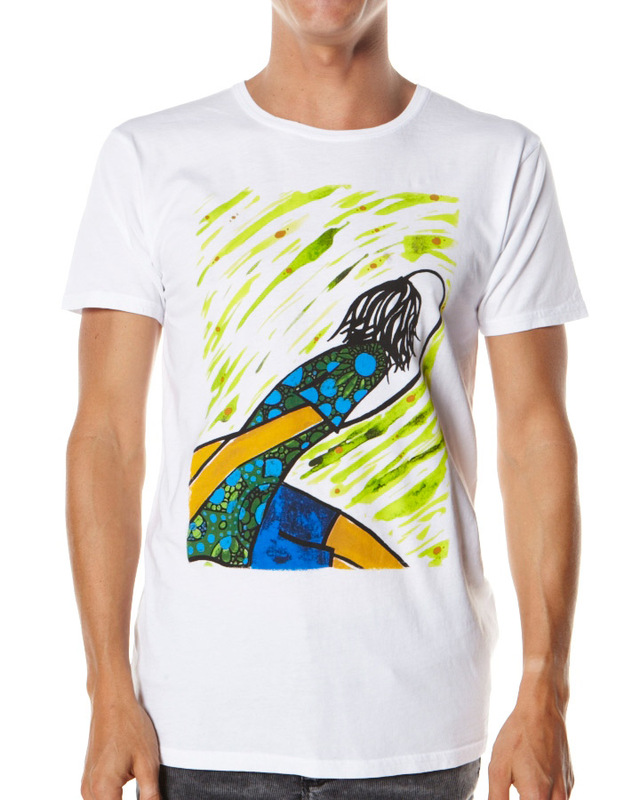 Uniquely RainTees also donates school supplies to children living in endangered rainforests who then create the original artwork features on the tees! 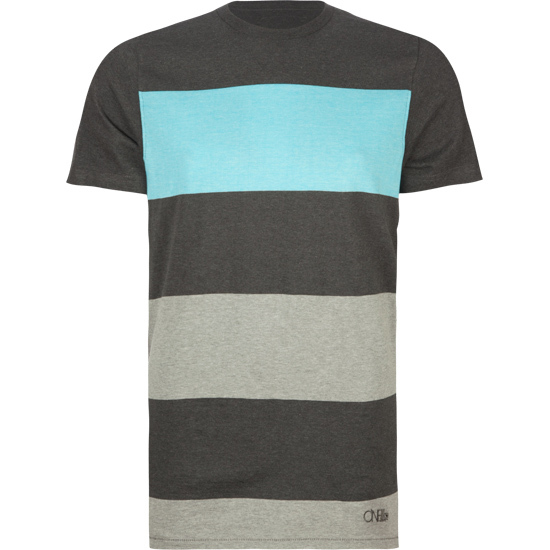 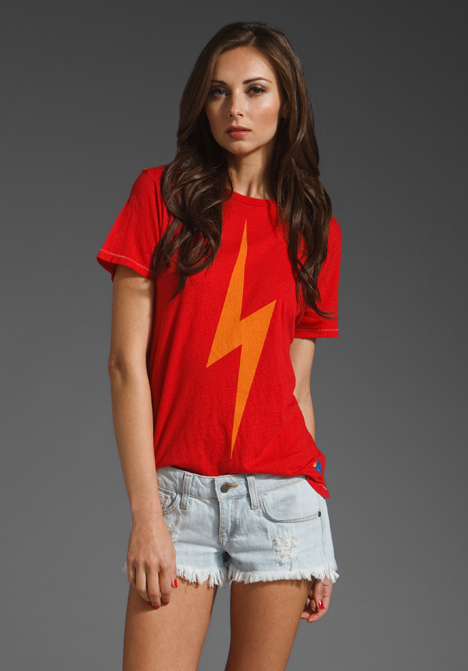 Bolt Tee by Aviator Nation – Loving this retro-inspired tee in 100% organic cotton. 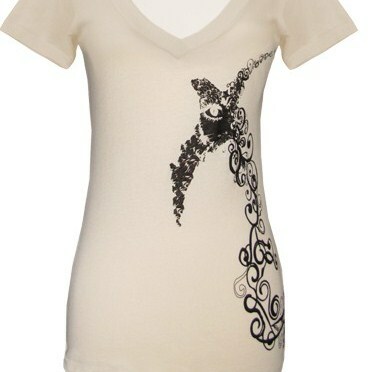 Reminds me of 80s cartoon fav Super Ted! 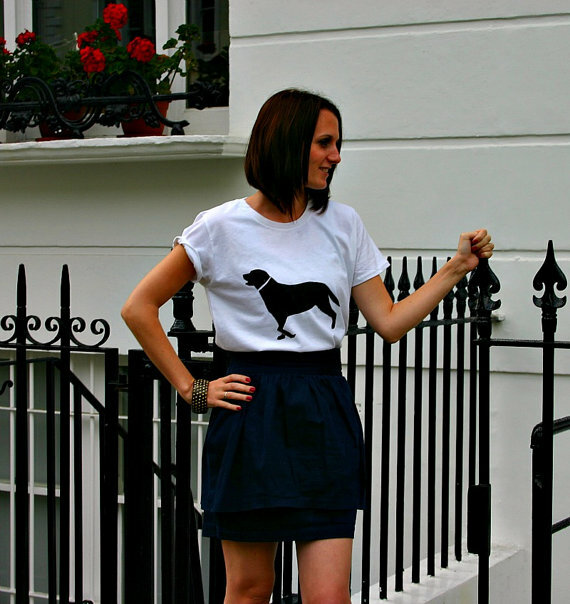 Limited Edition Friends Tee by Vaute Couture – Design your own animal-friendly fashion piece! 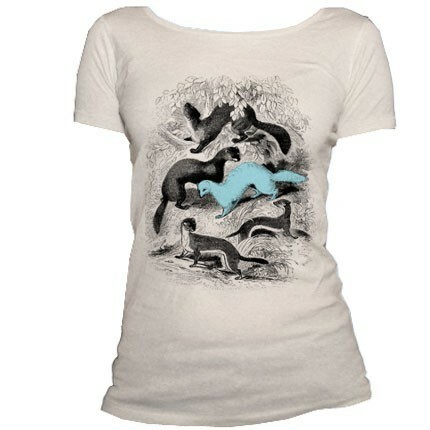 Choose between a Gold Chick, Gold Rabbit, Silver Sheep and a Silver Elephant and then pick your cut! 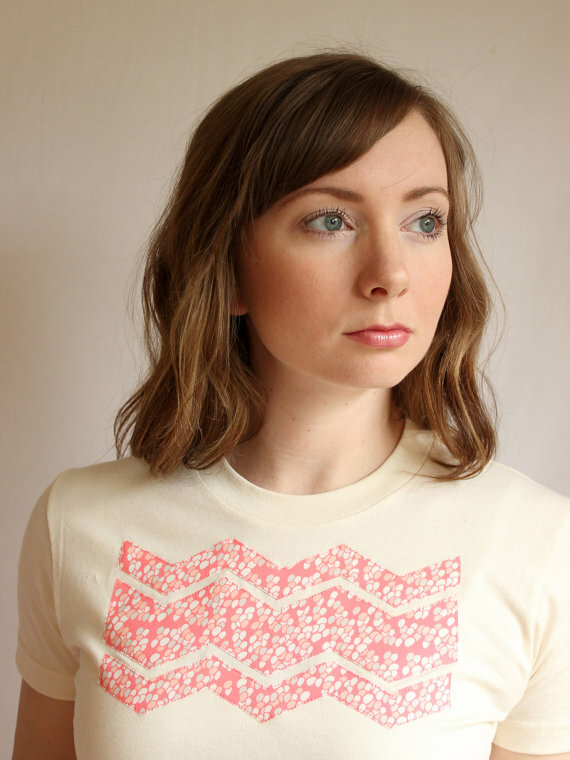 Pink Chevron Geometric Print Tee by Little Blue Feathers – This sugary sweet organic cotton tee is perfect for feeling girly without wearing a dress! 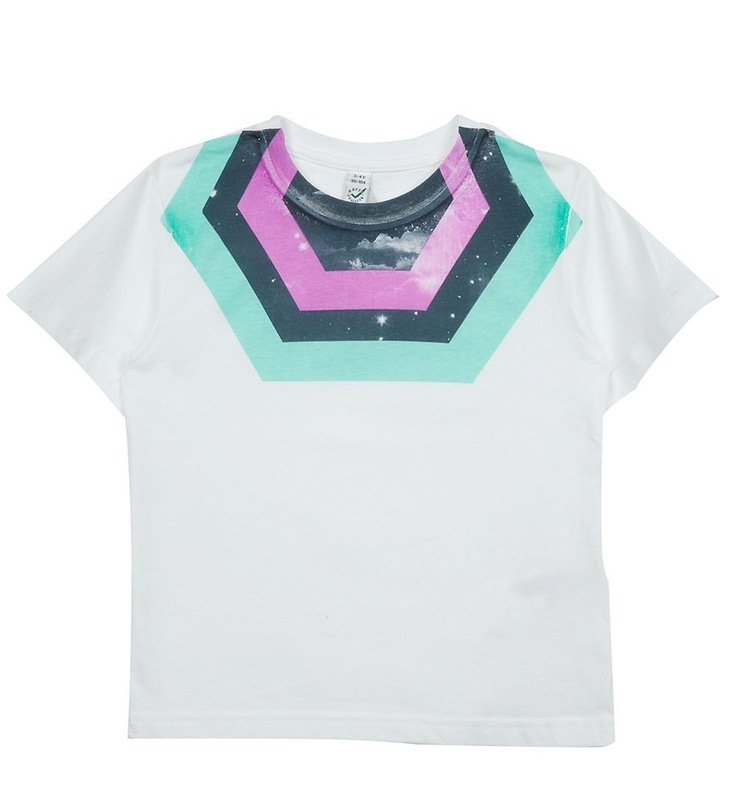 Ice Surprise Kid’s Tee by Pini Piru – This inventive label from the Netherlands has a brilliantly zany collection of prints that really capture the imagination and shout FUN! 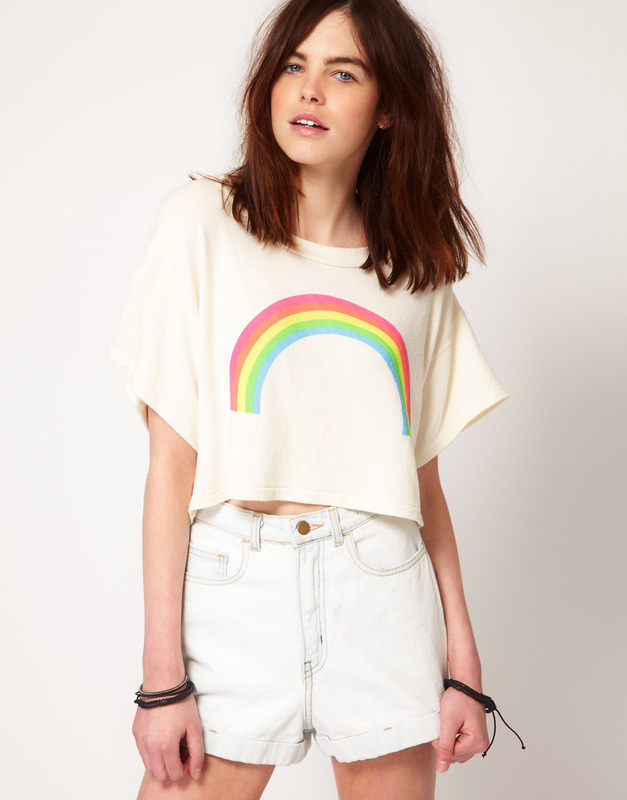 Rainbow Cropped Tee by Wildfox – Have I ever told you how much I adore rainbows? 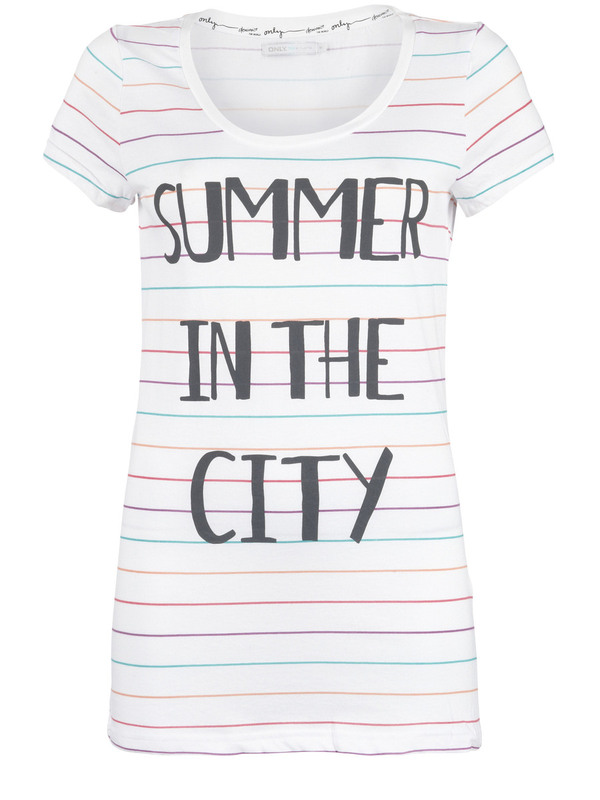 This is such a cute summer tee! 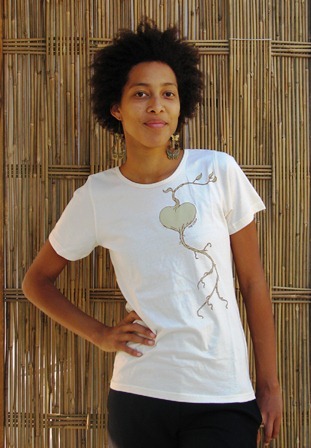 Tree Heart T-Shirt by One Colour – Let people know how much you heart nature with this Africa made and Australian designed tee. 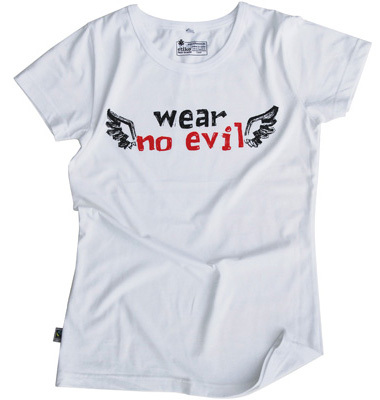 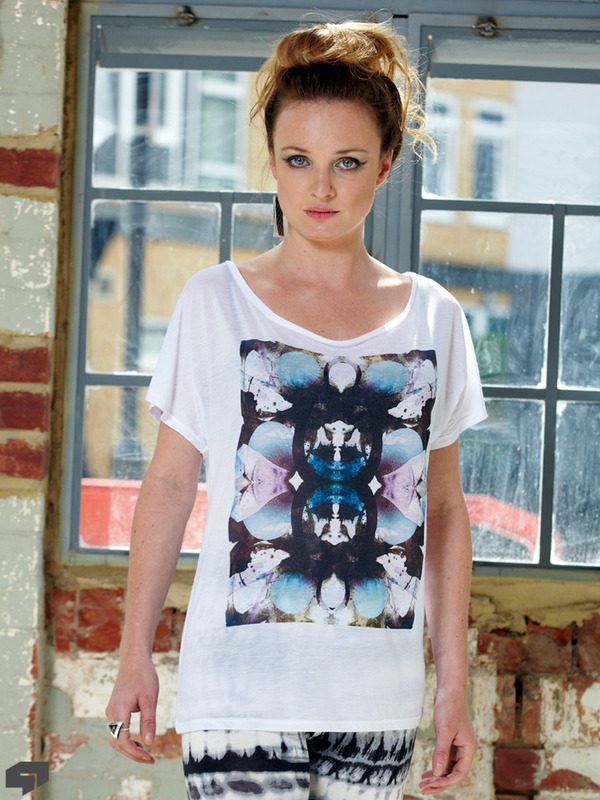 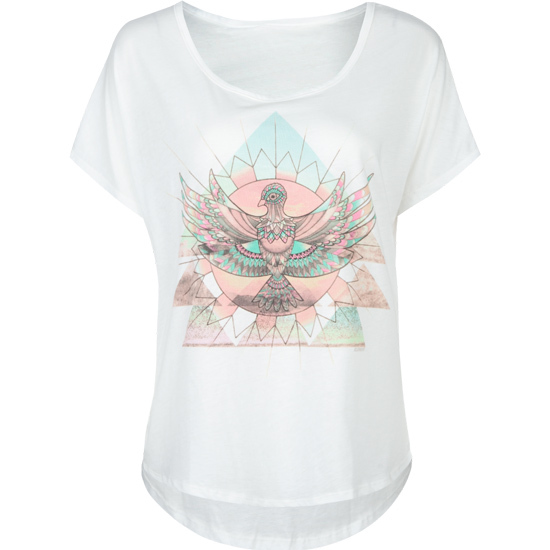 Word to the wise…only the white top has been made from organic cotton! 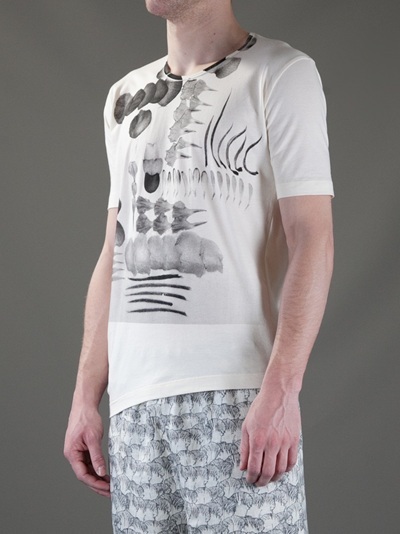 Okapi T-Shirt by Seven Gill – This unusual yet captivating creature (pronounced oh-COP-ee) is the only living relative of the giraffe. 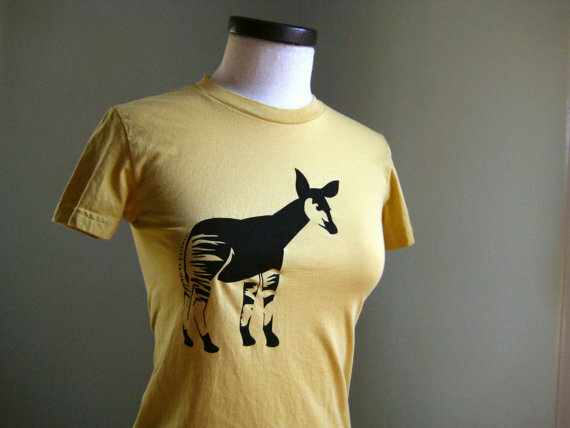 You can now take home your very own organic cotton Okapi! 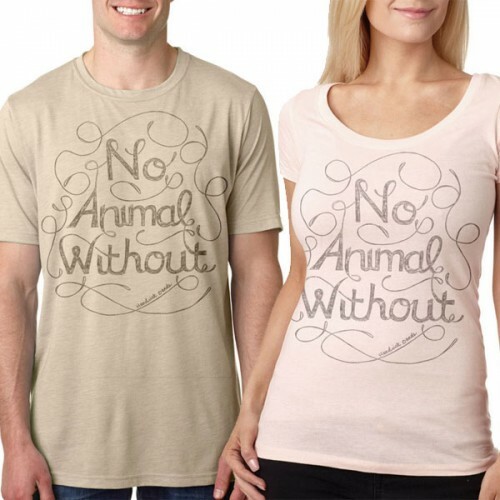 Square It Tees from Hendrick Boards – Every 2 weeks this amazing label will delight you with a new limited edition tee with $10 from each purchase going toward YOUR local animal shelter or rescue charity! 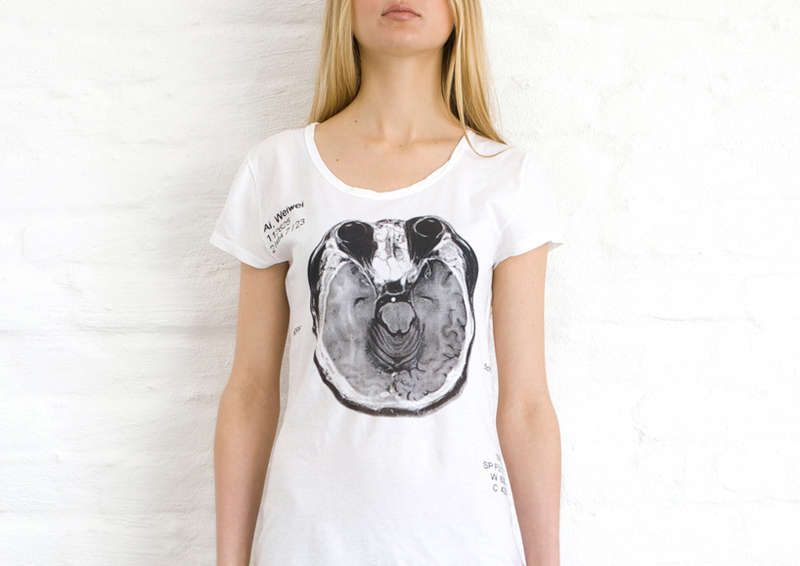 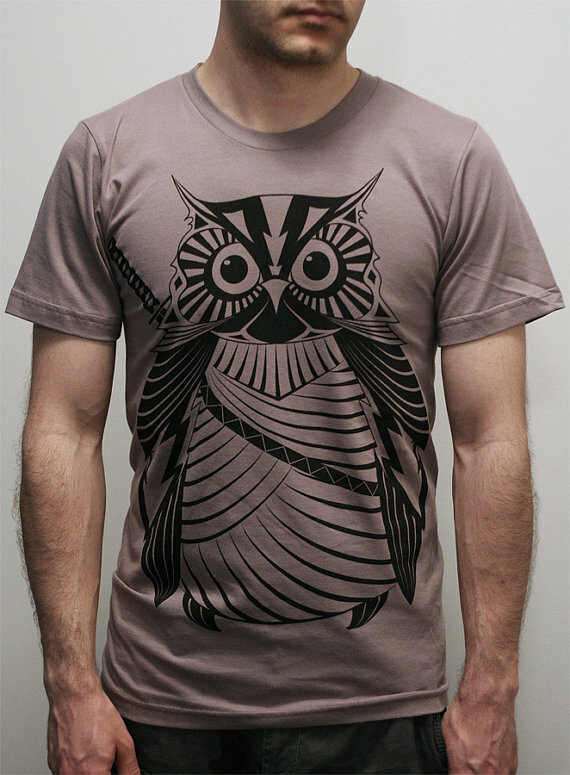 Cat’s Eye View by P.E.A.R Tees – Only 30 of these evocative organic cotton tees have been created! 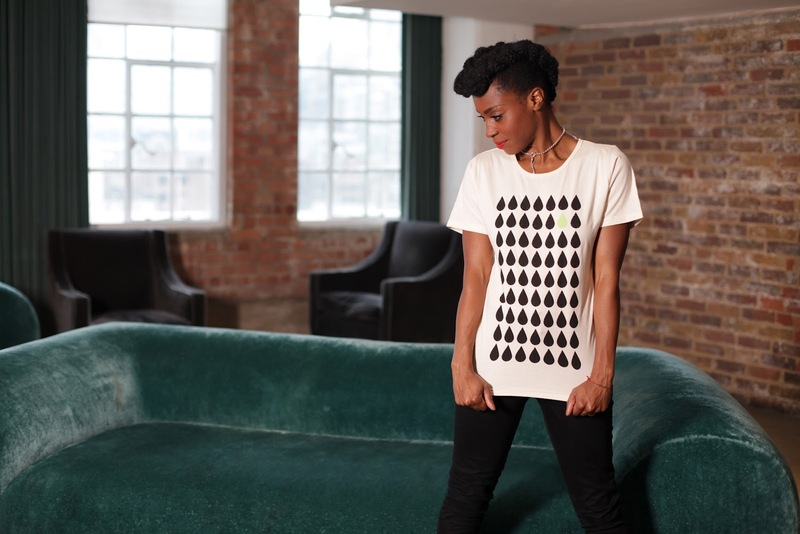 Thanks for putting this together – I'm already thinking about what I'm going to ask for for Christmas! 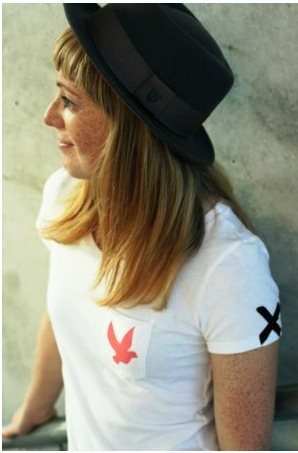 My pleasure Jen 🙂 I'm so glad you enjoyed the round-up! 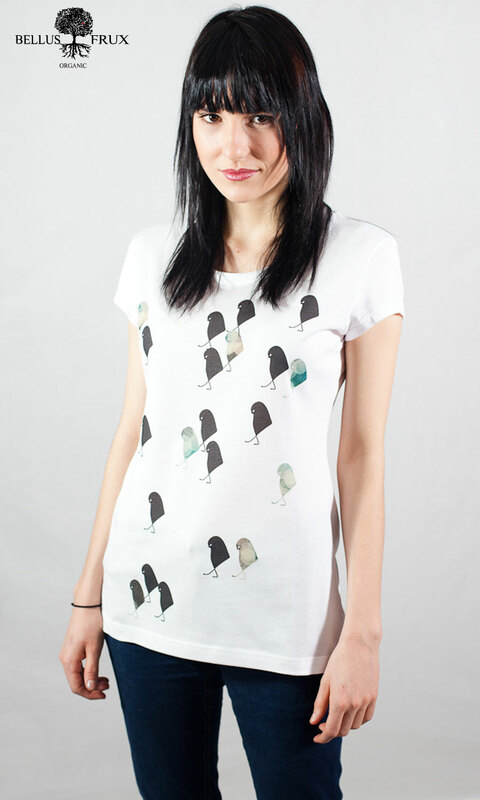 You have very nice collection. 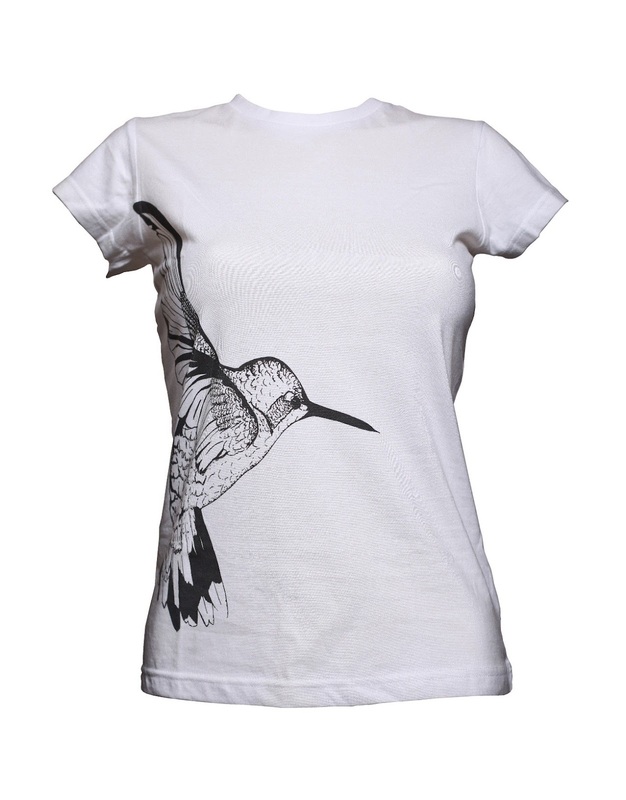 Post is very informative and designs of t shirts also impressive. 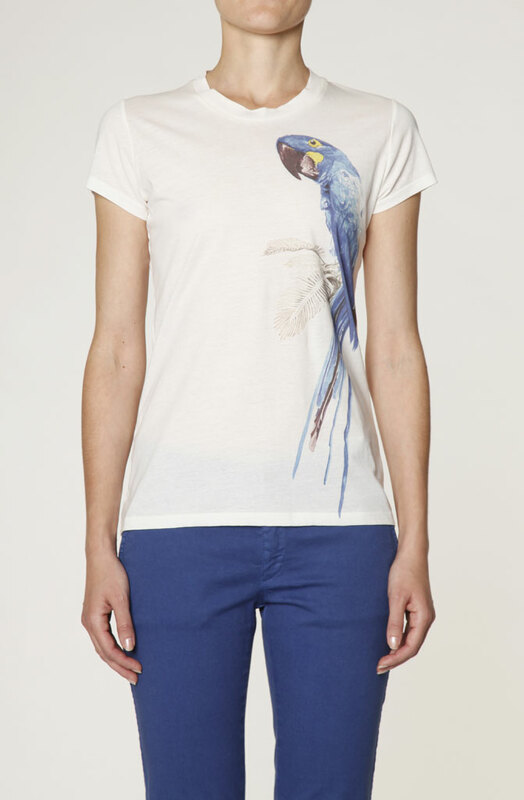 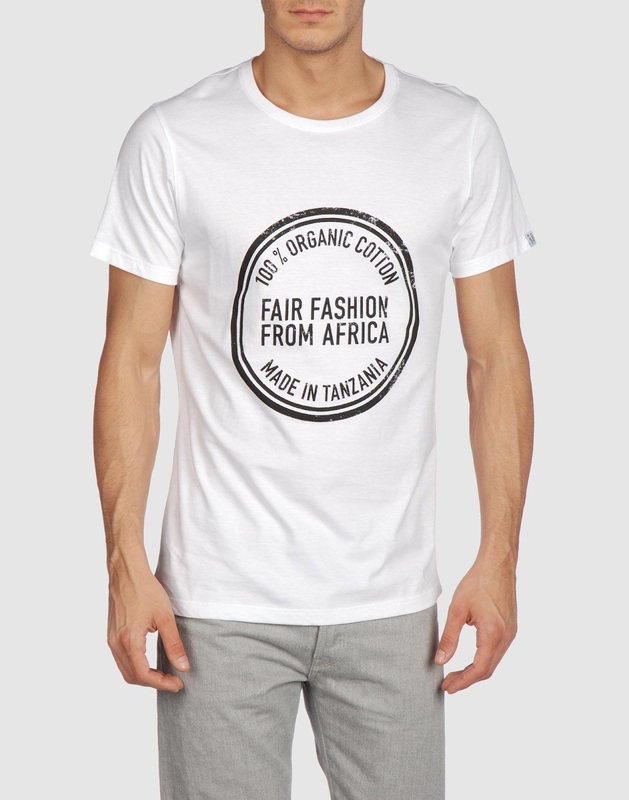 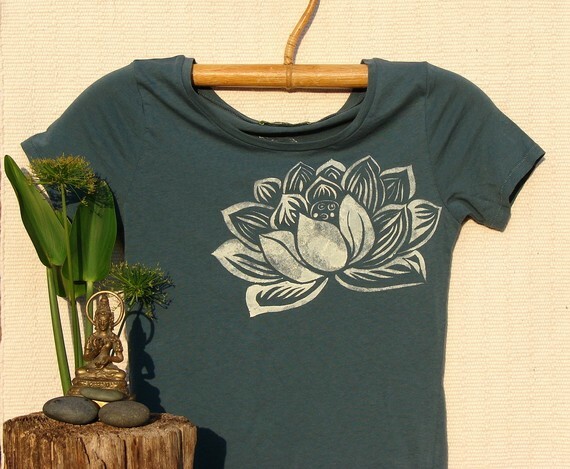 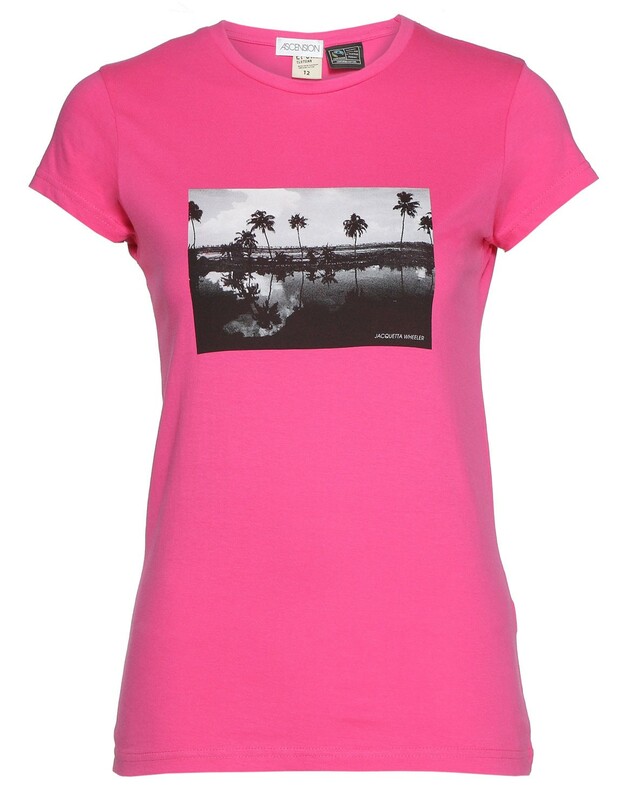 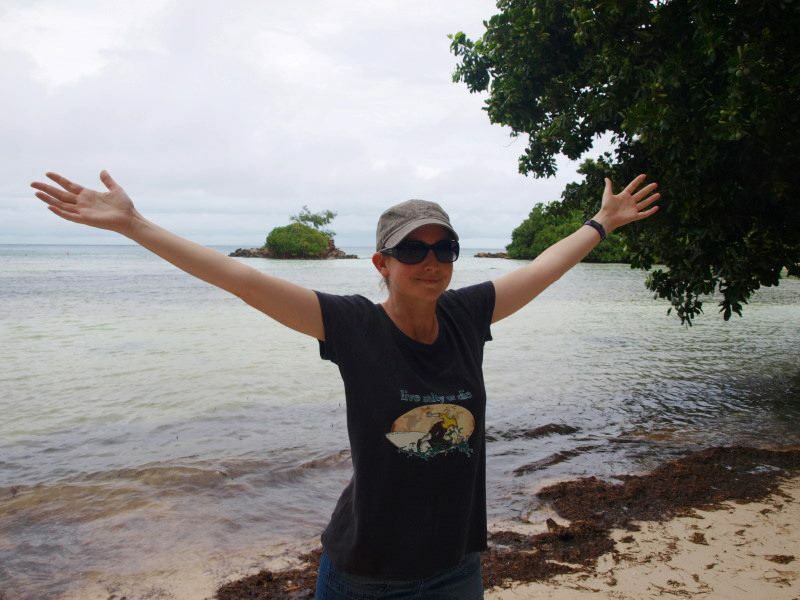 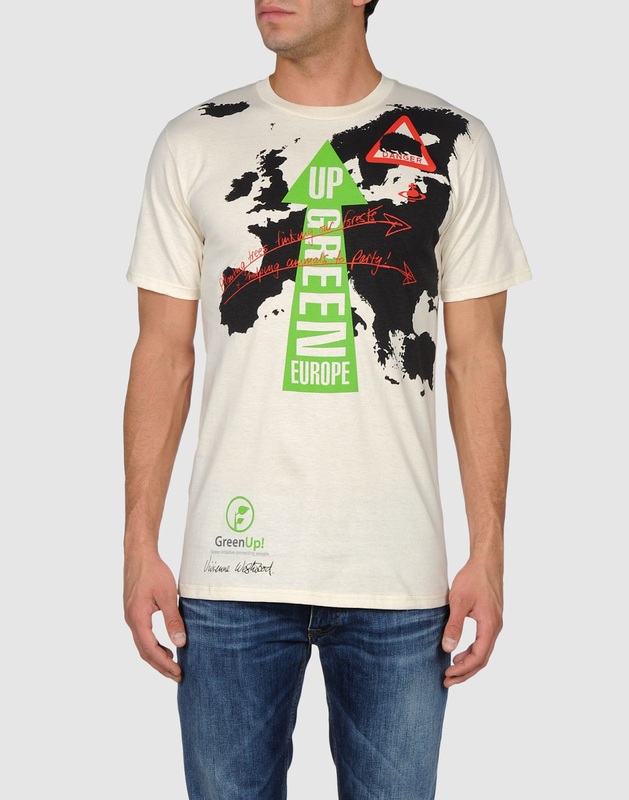 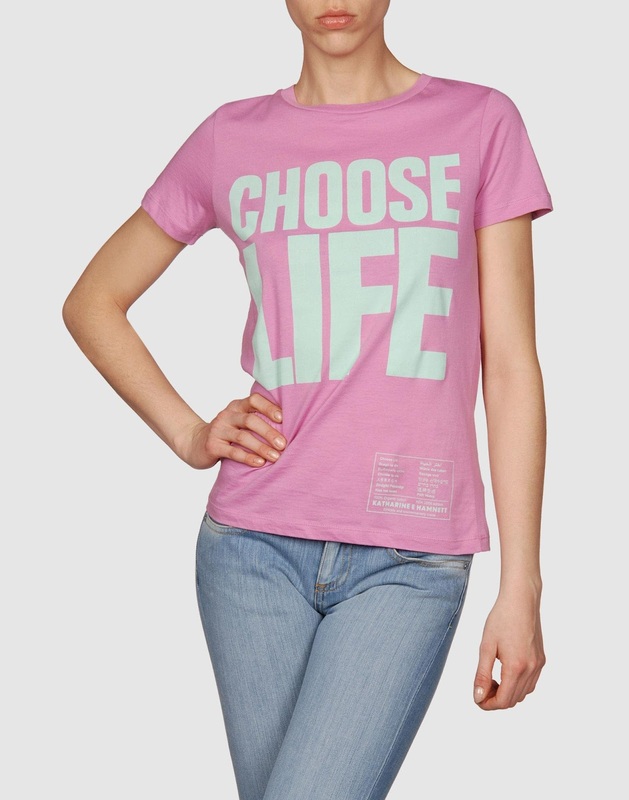 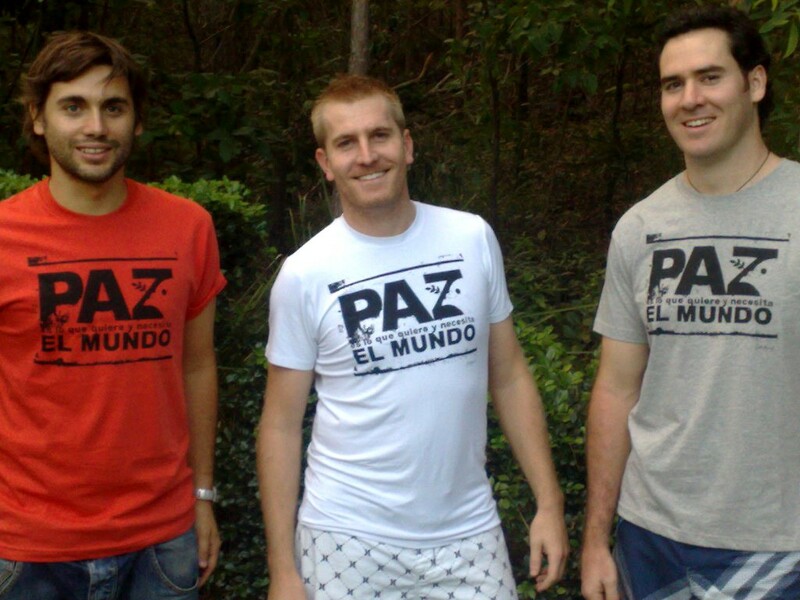 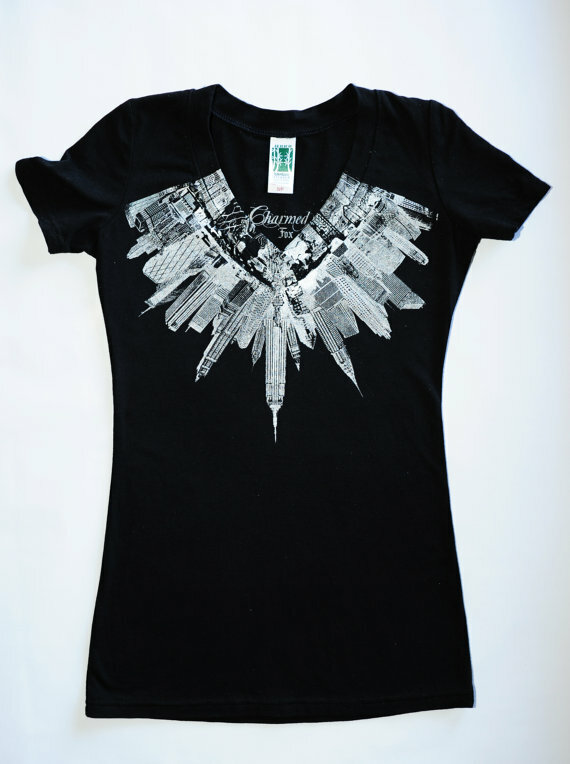 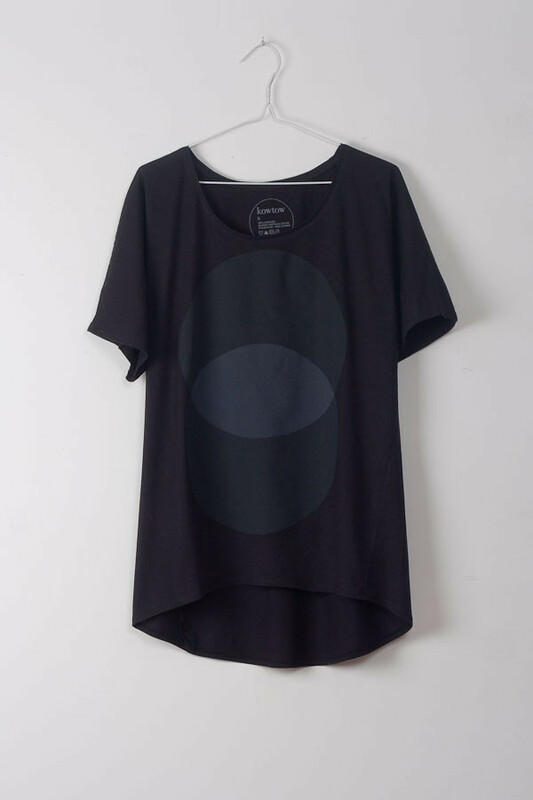 Thanks for sharing such a nice blog of fairtrade cotton t shirts. 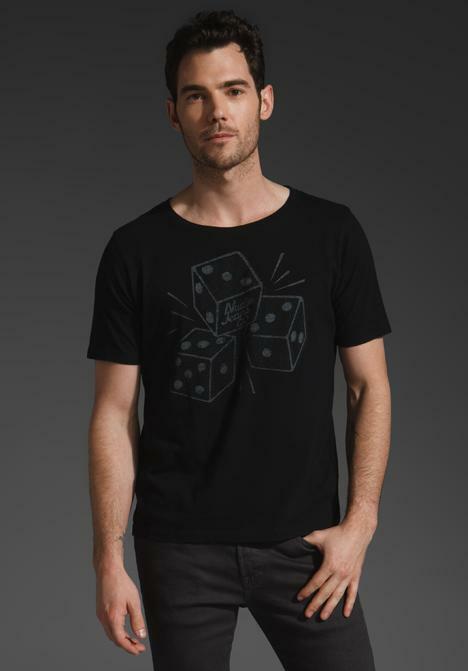 Thanks for stopping by Ramdin 🙂 I'm glad you enjoyed the ethical tees!